Sam Heron stars in Renaissance Men, a bleak and bitter comedy by James Patrick and Bag of Beard Theatre. 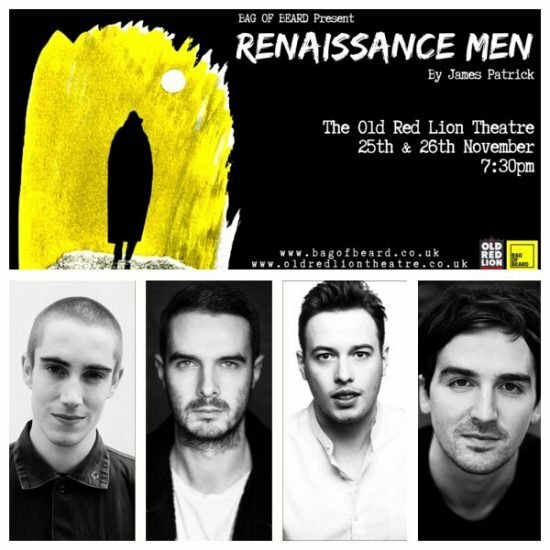 Renaissance Men performs at the Old Red Lion on the 25th & 26th November 2018, in a special sharing, in preparation for tour dates in Spring 2019. You’re starring in Renaissance Men at the Old Red Lion, what can you tell us about it? 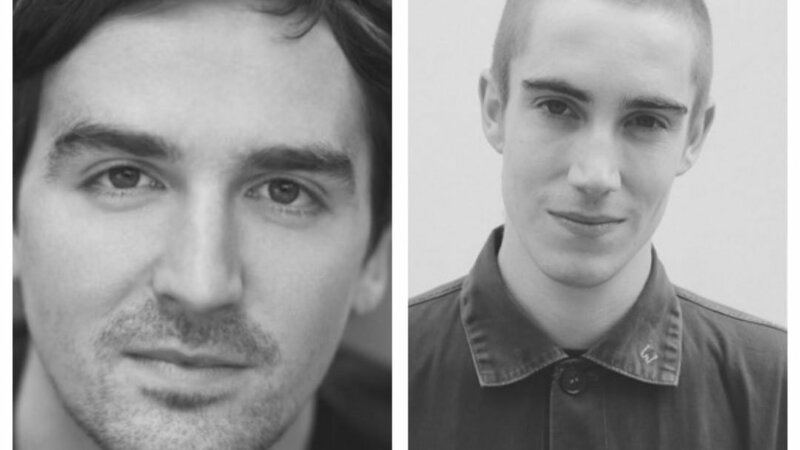 It’s a black comedy about nostalgia, friendship, masculinity and whether we should sell priceless art for booze money… The play centres around three friends who are all desperate for something to change their lives and the play asks us what we would do if that suddenly started to become a reality. There are laughs, there are shocks, there are tears… It’s quite a wild ride. How did you get involved with bag of beard? I’ve been close friends with Alex, Ryan and James for the last 4 or 5 years (James since boyhood in fact) and we’ve been itching to work together in some capacity the whole time. Other projects continued to get in the way until James sent me a draft of Renaissance Men earlier this year. After reading it the play really stuck with me, and so I sat down at my keyboard and began playing music that I thought would be suitable. I then approached Alex with my idea of composing for the show, he invited me on board as Associate Artist, and after various different casting choices I ended up starring in it! Irvine is a very guarded young man, and this often leads to bouts of self-destruction. He is a talented and ambitious poet, but recent events in his life have damaged his sense of confidence, and by extension, his sense of self-worth. When we find him, he’s doing battle with a secret that has torn his world apart, leaving him in a constant state of flux. He’s the kind and sweet one of the bunch, but isn’t afraid of the odd strop. I love playing his journey. The way he grows throughout the play is fascinating, how this tender young man can be so brave. I also like the way he switches sides during the friendly bickering matches (which are relentless and very funny). You also composed the music for Renaissance Men, how would you describe the style of music? I would say it’s quite a nice blend of early music/folk music/Dickensian-streets music, with a dash of trash punk thrown in there for good measure. So, it’s pretty eclectic I guess! Do you have a preference performing or composing? Not a preference per se but i would say performing gives me more of a kick in the moment, whereas with composing, it’s the process which I really enjoy. What would you say to anyone thinking of coming to see renaissance men? Look for yourself in this play, it was made for you. Not only that, but this play is about learning to listen to each other, something the characters frequently fail to do, for sometimes ignorance is the greatest crime.